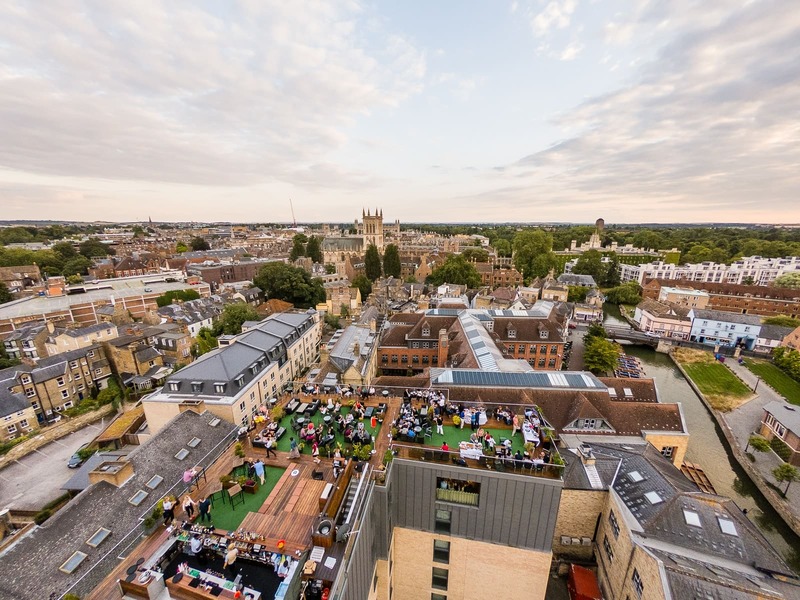 Our city centre location is unique, being the closest Cambridge hotel to St John’s, Trinity, Jesus and Magdalene College. King’s, Christ’s, Queens’, Gonville and Caius, Clare, Corpus Christi and the remaining colleges are only a leisurely walk away and can be viewed from the Hotel. Ideal for punting, shopping, sight-seeing and nightlife. Hotel guests have access to our gym, daily fitness classes, Elemis Spa treatments, Jacuzzi, Sauna and Steam Room, iconic Roof Terrace, 6th-floor Panoramic Bar and Brasserie, Riverside Steakhouse, nearby punting and complimentary bicycles. Our 44 uniquely designed rooms celebrate the cultural heritage of the city in a quirky and contemporary English style. 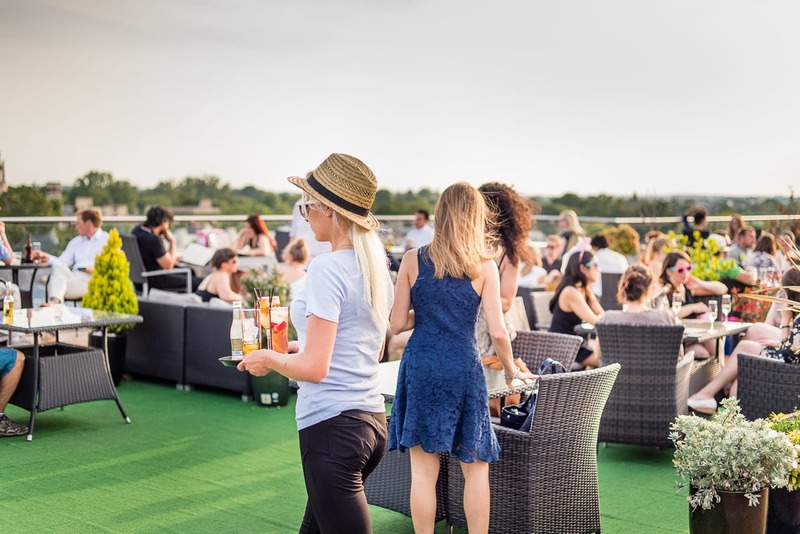 Serving brunch, lunch, afternoon tea, dinner and delicious cocktails with the best views of the historic Cambridge skyline. Situated on the river Cam serving premium cuts of beef, grilled meats and fish in an intimate romantic setting. Offers full-size gym, daily fitness classes, personal training, steam room, sauna, jacuzzi and Elemis spa treatments and sports massage. Extensive facilities, central location and valet parking for your unique bespoke event. An iconic Cambridge landmark with the best views of the historic city with fabulous cocktails. Save 10% when you book minimum 21 days in advance of your stay. Book our Spa Escape Combination and you’ll receive an Elemis Advanced Facial and a luxury Massage. Enjoy a candlelit couple's massage, a bottle of Taittinger Champagne and a complimentary upgrade (subject to availability). Sundays only.